SINGAPORE, SINGAPORE - JANUARY 2016: sunny sky marina bay sands hotel helix bridge art science museum 4k time lapse circa january 2016 singapore, singapore. 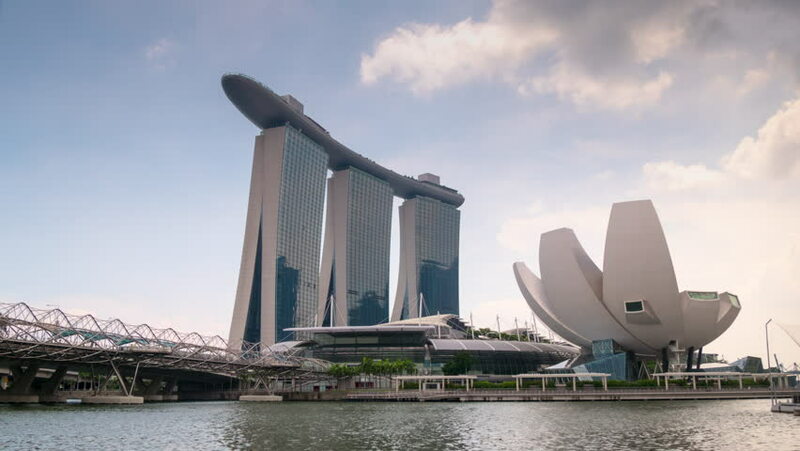 4k00:07SINGAPORE, SINGAPORE - OCTOBER 2014: famous city flyer view on modern hotel and museum 4k time lapse circa october 2014 singapore, singapore. 4k00:08SINGAPORE - JANUARY 2016: day marina bay sands helix bridge art science museum panorama 4k time lapse circa january 2016 singapore.